will find very useful. - Clark T. Randt, Jr., U.S. Ambassador to China. I greatly appreciate your efforts in sharing with other people your opinion and experience on the exchanges between different peoples and cultures. It is so important for us to better understand each other while striving to build a better world for all. - Zhou Wenzhong, China Ambassador to U.S.  I found this book refreshingly different from the general run of books in this genre. - Mohammad Vazeeruddin, India journalist. The A to Z chapters are nicely written and...the language is simple and lucid. - Jay Gajjar, India language professor. I love this books generous use of helpful hints. I highly recommend it for anyone who wants to learn more about America like I did." - Sarah Kim, Korean American business owner. This book begins with the thoughts of well respected reviewers here and abroad. 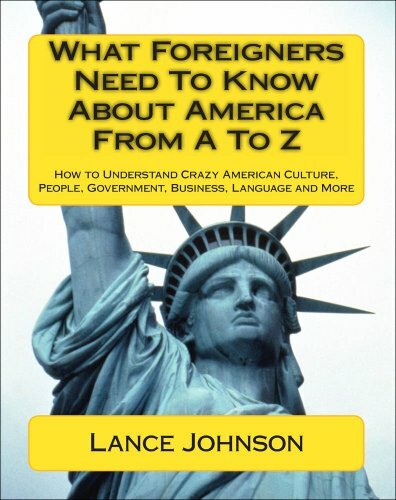 The entire point of the book is to help foreigners understand and be successful in America. He hopes to reduce cultural misunderstandings with everyone. 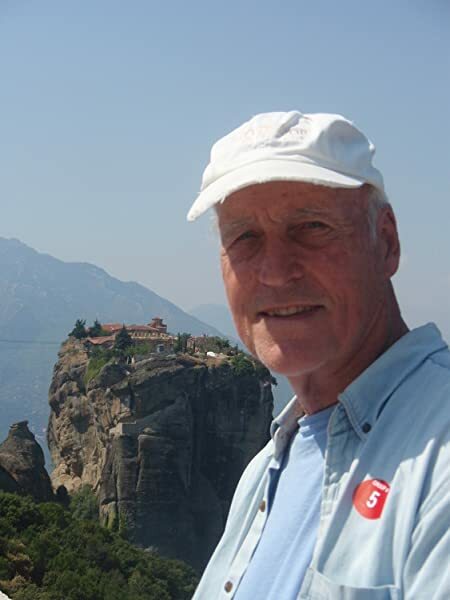 He is well traveled and has taught in foreign countries, and has friendships with people from other cultures. All of his experiences traveling in 49 states and 81 countries give him a wide perspective of this topic. It helps Americans understand foreigners, as well. I found it an informative read as an American. The facts and figures included were a good refresher for me and I did learn many things. Probably many people could review the citizenship test and find they might find they have forgotten a few things. He explained viewpoints both ways. He emphasizes the minority beliefs don’t represent the thoughts of the majority. I really like the hints as many were vignettes which drove home points the author was making. I enjoyed the stories, as I did the facts. It was like looking in a mirror about the USA and seeing ourselves. Quite an interesting experience. I have not read a similar book that examined our country in quite this way. The movie recommendations were good, and I think I’ll consult the book again and again when I can’t find a movie to watch. It is full of ideas. There is a book website, and there is information for purchasing quantity discounts if teaching an ESL class, perhaps. The chapters cover our history, grammar, how to improve English, linguistics, culture, and popular culture. Definitions and explanations within the text were helpful. The index was thorough. Lincoln’s Gettysburg Address was included. There were lists of colleges ranked different ways. He explains the spirit of America, our independence, the population in general, and specific age groups are described. Typical family life is described. Income levels are listed, and there are even trivia questions in this helpful book. I have purchased four copies myself! I like the content of this book (as a generic cultural encyclopedia), but I feel like the information is presented in a somewhat confusing fashion. I also think that the use of bold-faced words as vocabulary items is a ineffective (and at times misleading) -- and think the last portion of the book (on language and grammar instruction) should be in a separate book. I am using this book as a personal resource while teaching an American Culture class to a group of low-level non-native English speakers. I'm still looking for the perfect book (either a textbook or simply a personal resource) -- this gets me part of the way there, but not all they way. I wouldn't recommend it to ESL students, unless you're highly proficient. I'll also add that the nature of a book like this is to become outdated fairly quickly. I hope the publisher plans to do another reprinting of this book, preferably with an extensive review to the text. This book focuses on the English language. Another;part of the book focuses on cultural differences. Assuming that the book focused on the latter led me to buy two copies, one for me and one for a friend in Japan. It's not a bad book, just not what I thought it was. This is a helpful guide to people around the world who would like to better understand American culture and values. Lance also shares his insights as a traveler to other countries his experience of customs and cultures around the world he has visited. This is one of the most comprehensive books on America for foreigners. You may find any subject of your interest in this book. Though there are some parts that are so obvious even to foreigners, there's no doubt that this book is very much helpful. If you are already quite knowledgeable about English language and America in general, don't read from cover to cover. Nevertheless, this is something definitely worth reading.